Ugandan businesswoman Zari Hassan does not call herself the Bosslady for nothing. Reports reaching our newsdesk indicate that the mother of five has taken stringent measures to ensure that her ex-partner Diamond Platnumz adheres to his duties as a father to their two children. Zari is said to have hired a fulltime lawyer tasked to ensure that her co-parenting agreement with the Bongo singer is followed to the letter. A source close to the former lovers alleges that Zari Hassan “is serious with the well-being of their children, and understands the contribution that fathers make in kids’ lives”. One of Diamond’s obligations that Zari is most keen about is children visitation days. “Diamond has been visiting South Africa – where his children live with their mother – every month because it is a legal obligation he must meet. That obligation was set by Zari’s lawyer, who was hired to ensure that the ex-couple’s co-parenting agreement is fully observed,” a source told Tanzania’s Global Publishers. “He [Diamond Platnumz] has been told never to fail to observe the visitation dates, regardless of how many shows he is lined up to headline. Their agreement further states that Diamond should not spend the nights, during his visitation days, in the same room with Zari Hassan. As a result of those stipulations, the musician sometimes spends nights in hotel rooms in South Africa,” added the informant. 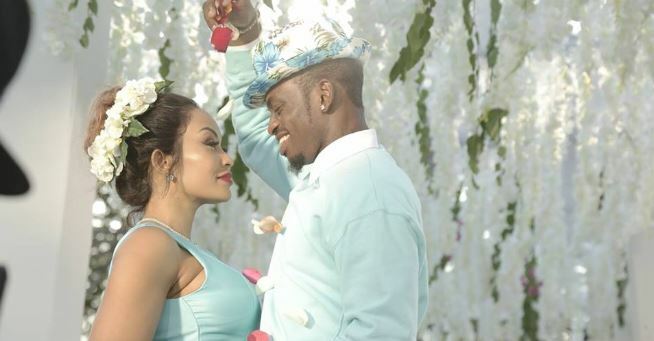 When reached for comment, Diamond Platnumz confirmed that there was such an agreement between him and Zari but refused to divulge more details about it, urging people “to mind their own business”.